I've been making progress. Really, I have. I'm not ready to reveal the whole room yet, but I'll give you some snippets of what I've got done. Still haven't found the pillow insert for that cover laying across the chair, or figured out why it's missing in the first place. I've been having issues blending our furnishings together. In the last house we had a living room and a family room, and here we only have one large room. One of our rooms there was in browns and greens, and the other was red, black, and golds, so now I have to figure out how to make everything look like it belongs together. 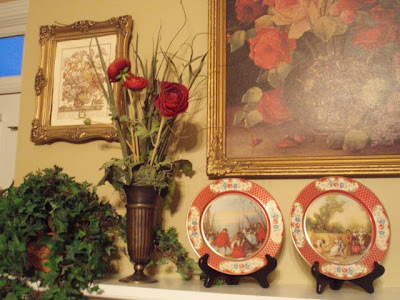 As you'll see, I love old floral paintings and lots of flowers. And color. I LOVE color. I try to make our primary room as romantically french as possible, since that's the style that makes me feel cozy and yummy. I like being able to look around while I'm lounging on the couch and remember the stories behind every find in the room. So for now, here's what I've gotten done in the living room. I plan on making name plates for those clocks and setting them all for different times. Most everyone we know is in different time zones, and it'll make it easy to keep up with them. I also want to find something to cover up that gray marble on the fireplace. This isn't our 'forever house', so I whatever it is has to be easily removable. I think I'm going to check in to that Hallmark adhesive paper on the roll. We'll never use the fireplace since it's gas, and the smell gives me migraines, so I just want something for the look. I've changed this mantle arrangement a zillion times, and I've decided I'm sticking with this. It may be too busy for some of you, but I like all of the color and texture, so it's here to stay. 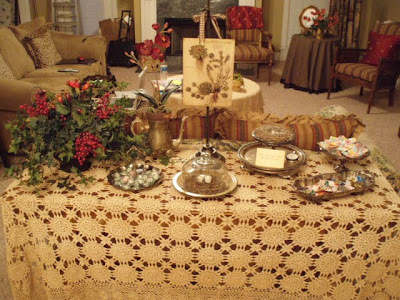 And here's the table behind my loveseat. 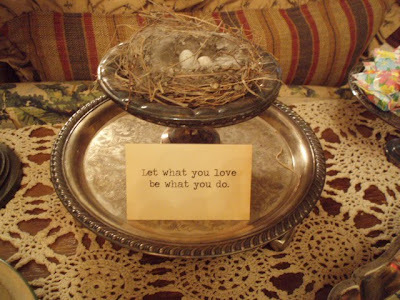 I wanted to put all of my bird's nest collection on it, but it seems I can't find all of those yet either. So, I put silver trays on there and filled them with candy instead. 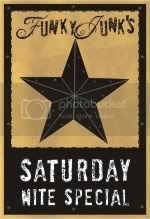 And this is a card that a sweet friend sent me a long time ago. This weekend I'm going to tackle this room. Wish me luck! 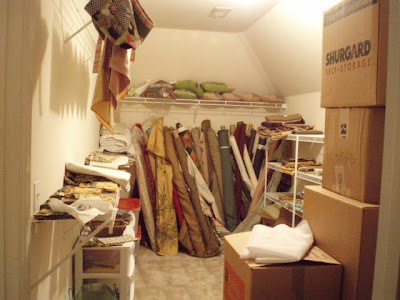 This is my Fabric Room! 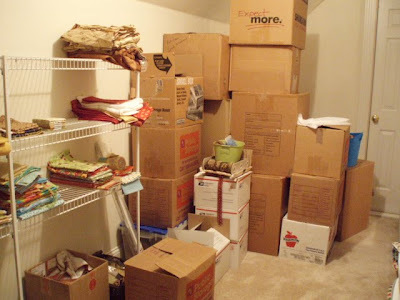 See all those boxes? They're full of fabric that has to be color coordinated and put on the shelves. Believe it or not, I sold 34 of the bigger boxes FULL of fabric before we moved, but I kept all the really good stuff! Oh, Polly! I don't blame you for being tired. So many decisions and work to be done. I do love your living room so far though, and I think your mantel looks really nice. I'd love to see what you finally do with the marble surround on the fireplace. I love the living room and the mantle looks great! Good luck on sorting through all the fabric boxes. But you sure look like you have things well in hand. No wonder you are tired. You have been one busy girl! Things are really shaping up and I like what you've done so far. Take some time to rest!! I think you're doing pretty good, Polly! I think the room looks great. I really like that piece you have holding the print on your table behind your loveseat. That's a great idea to bring some height in there. Your room is coming along so nicely! 34 boxes? Wow. I'm in the middle of reorganizing my hobby/sewing room and I just sorted all my fabric. My collection will fill about half a box (quilt fabric and decor fabric combined.) I would love to come and play in your fabric room LOL. I really enjoying seeing your house look so great in such a short time! You are amazing. I can't relate to all that fabric cause I can't sew. But if it was linens I would be in your corner! Your living room is just beautiful. Hi! It's nice to meet another Polly! Found you through your comment at FleaMarketTrixie and thought I stop by and say hello! I love what you have done so far. 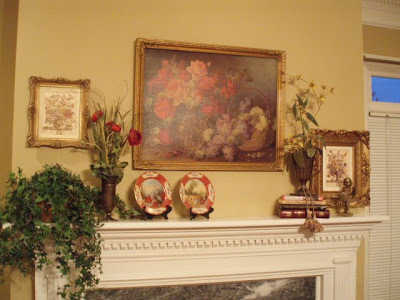 Your mantle looks great. The words "too busy" are not in my vocabulary. 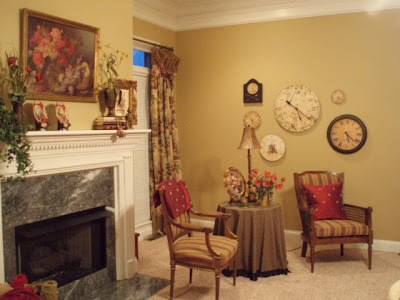 They clock wall is a great idea. Can't wait to see it finished. Wow! You do have a lot of fabric. I thought I had a lot...Need to see how you organize yours. I spend way too much time trying to find something I just "know" I have somewhere. Oh my, I would be tired too, my dear! But I do stand in awe at all you have accomplished so far! I love, love, LOVE your living room and what you've done! Beautiful colors...and french design whether it be country, Paris chic, etc...is my very favorite! Your fabulous frenchy living room is right up my alley, Polly! 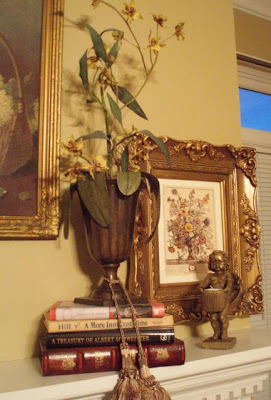 Love how you've done the fireplace mantel! So warm, so romantic...just a lovely vignette!!! Hmm...I've never heard of Hallmark adhesive paper, when you get a chance...tell me about it! Sounds like something I would definitely be interested in! 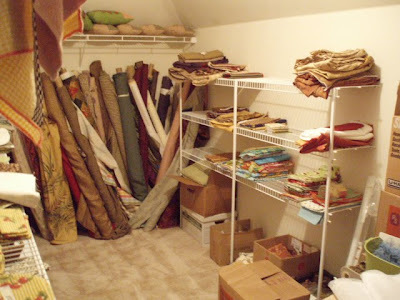 Now...my sweet friend, I just adore getting a sneek peek into your fabric room! Oooh, I would love to go through those bolts of fabric and all of your many boxes! Hehe! I can just feel sooo many great future posts coming up!!! It has sure been fun watching your designing process in your new home...I'm really enjoying your posts!!! 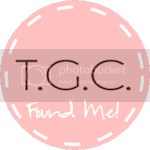 Thank you so much for coming by and taking a peek at my Sunday Silver post..and for leaving me such a sweet note! You asked about the white porcelain plates with the silver fings (trim). They were a great treasure find on ebay...only .99 for nine of these pretty plates! I made out like a bandit on that one! I really don't know anything about them...other than the fact that I love them! Hehe! So sorry, sure wished that I could have been more help to you with knowing where you might find some! I enjoyed peeking through a bit of your blog. Very fun things to look at! I really like your idea of the plates with clocks showing different time zones. Also love all the silver and your accessories! Nice to meet you! I hope you'll come visit me sometime too.